First published in 1899, this graphic depiction of urban American life centers around McTeague, a dentist practicing in San Francisco at the turn of the century. While at first content with his life and friendship with an ambitious man named Marcus, McTeague eventually courts and marries Trina, a parsimonious young woman who wins a large sum of money in a lottery. The greed of the majority of the characters in the novel creates a chain of events that lead to many painful, gruesome deaths. Norris' work, so strikingly different from that of his contemporaries, is an admirable example of social realism, which provided America with a shocking reflection of its sordid sense of survival. 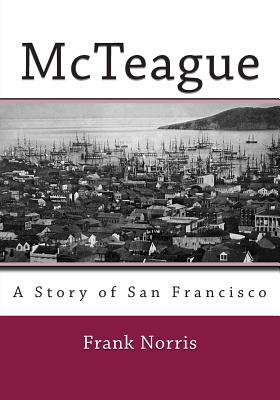 From the opening description of San Francisco to McTeague's final desperate flight far from his 'Dental Parlors, ' this novel examines human greed in a way that still causes readers to pause and reflect over one hundred years later. Benjamin Franklin Norris, Jr. (1870-1902) was an American novelist, during the Progressive Era, writing predominantly in the naturalist genre. His notable works include McTeague, The Octopus: A Story of California, and The Pit. Frank Norris's work often includes depictions of suffering caused by corrupt and greedy turn-of-the-century corporate monopolies. In The Octopus: A California Story, the Pacific and Southwest Railroad is implicated in the suffering and deaths of a number of ranchers in Southern California. 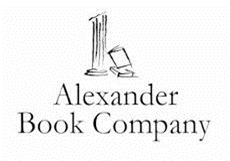 At the end of the novel, after a bloody shootout between farmers and railroad agents at one of the ranches (named Los Muertos), readers are encouraged to take a "larger view" that sees that "through the welter of blood at the irrigating ditch. Although he did not openly support socialism as a political system, his work nevertheless evinces a socialist mentality and influenced socialist/progressive writers such as Upton Sinclair. Like many of his contemporaries, he was profoundly affected by the advent of Evolution, and Thomas Henry Huxley's philosophical defense of it. Norris was particularly influenced by an optimistic strand of Evolutionary philosophy taught by Joseph LeConte, whom Norris studied under while at the University of California, Berkeley. Through many of his novels, notably McTeague, runs a preoccupation with the notion of the civilized man overcoming the inner "brute," his animalistic tendencies. His peculiar, and often confused, brand of Social Darwinism also bears the influence of the early criminologist Cesare Lombroso and the French naturalist Emile Zola.